The Berry hippy chic by Bookie and Belle is also known as the Sophisticated Peasley. This brown, full grain leather collar is interwoven with grosgrain ribbon. 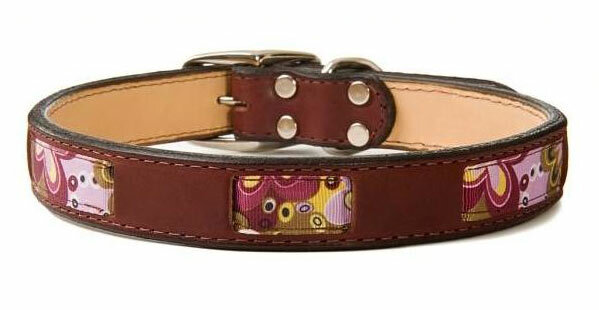 Berry hippy chic collar is double-layered for additional sturdiness and safety. It's beveled, hand finished edges provide your pet with additional comfort. 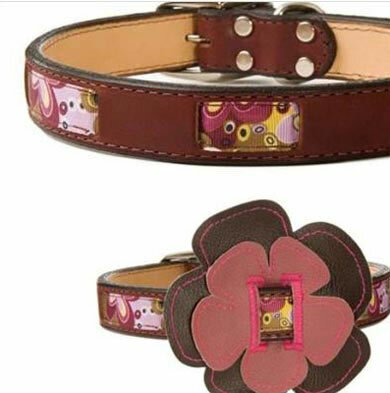 The berry hippy chic collar is sure to bring your pet flair and fashion. It is Made in the USA! Buy online: leather dog collars, designer dog collars, ribbon dog collars, handmade designer dog collar & leash sets from Bookie and Belle Collars USA.